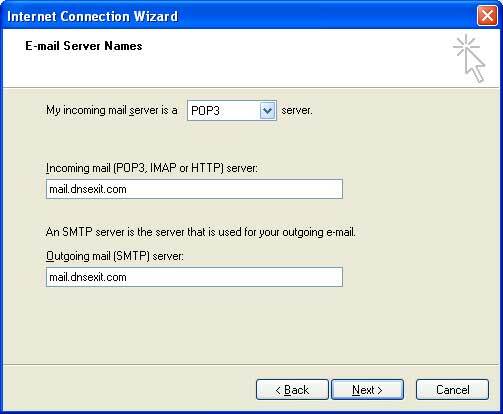 Enter mail.dnsexit.com as the incoming and outgoing mail server. 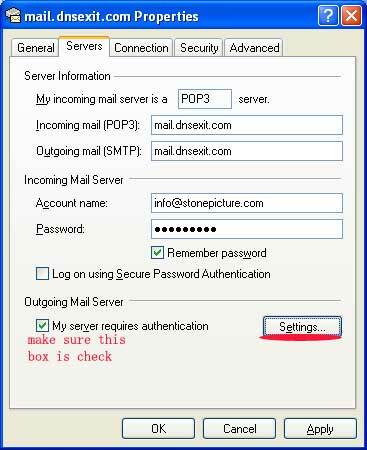 Select the incoming mail server as a POP3 server. 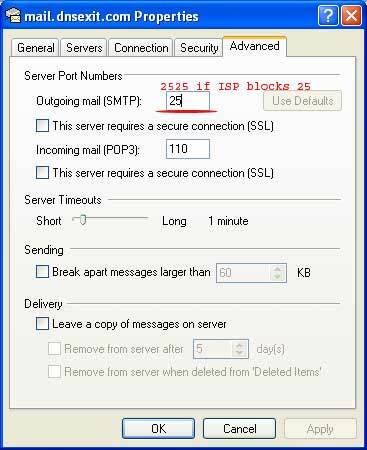 You can select IMAP server but it is not suggested since IMAP server will leave your message on mail server hard drive and it take your storage quota. 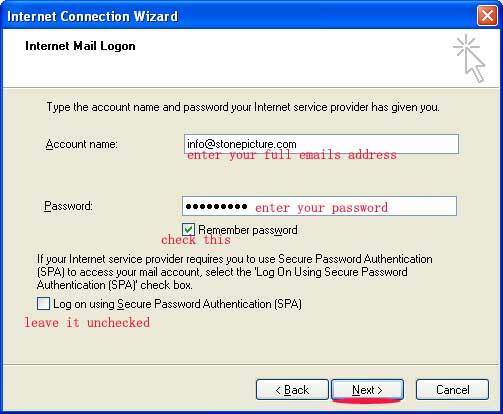 At the account name text area, enter your emails address, enter the password and check Remember password. 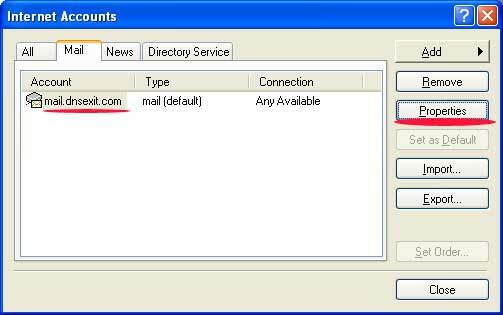 Click on finish button to finish up the setting. 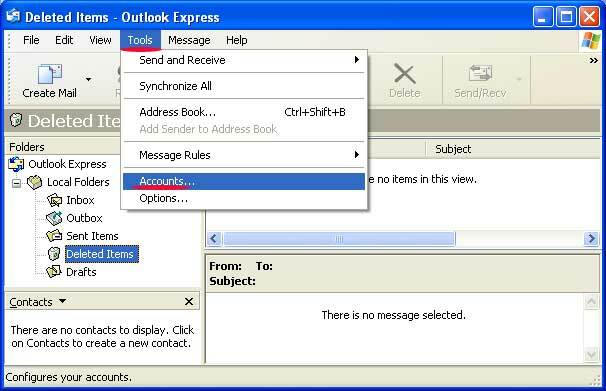 To make outlook express to be able to send our emails using our mail server. 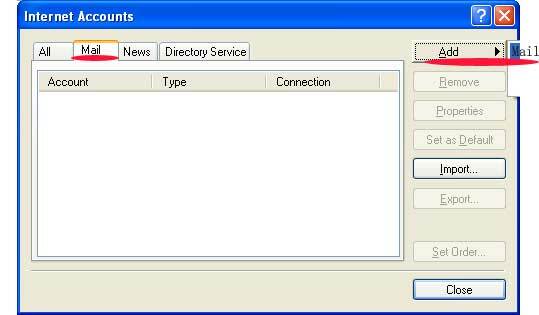 You need to do more settings. 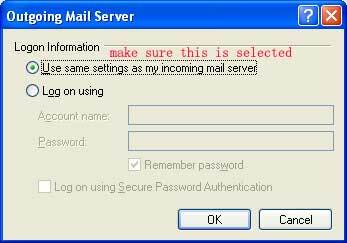 Make sure "User same settings as my incoming mail server" is checked. 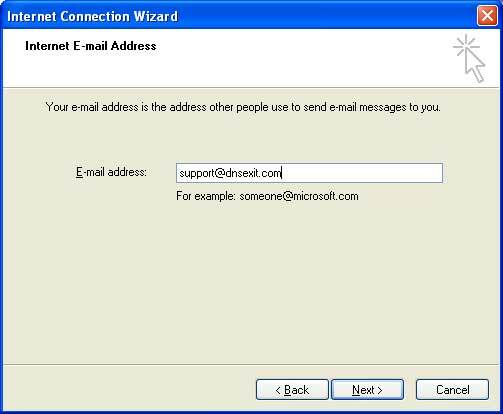 If 2525 is open (you see responses from our email server). 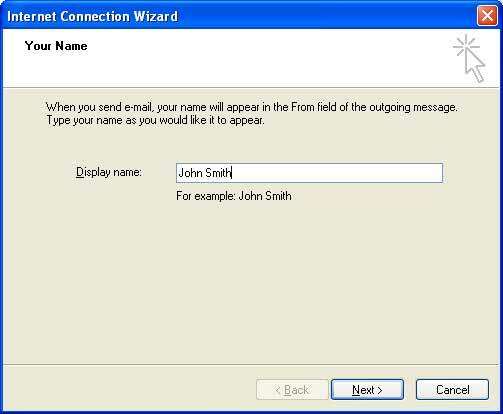 Then click on the "Advanced" tab, next to "Outgoing mail(SMTP):" enter 2525 instead of 25.